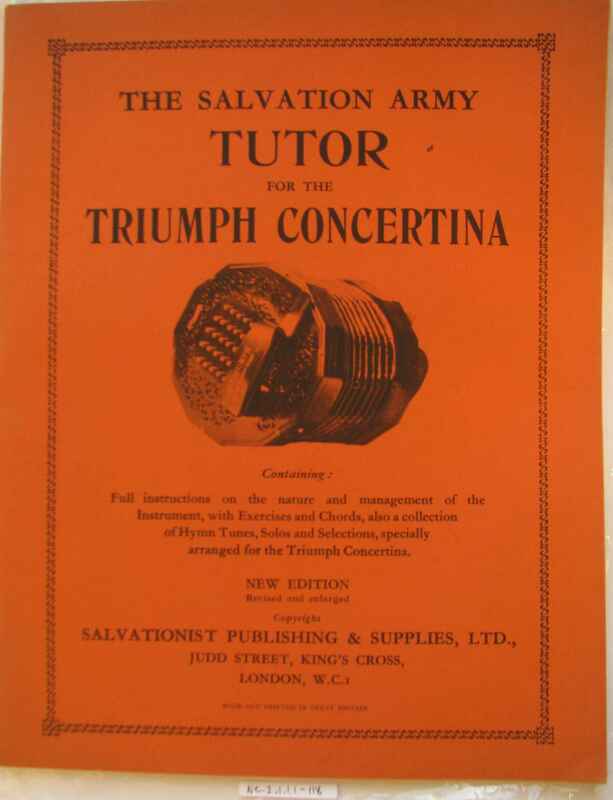 Full Description: Minting Tutor Books: The Salvation Army Tutor for the Triumph Concertina. 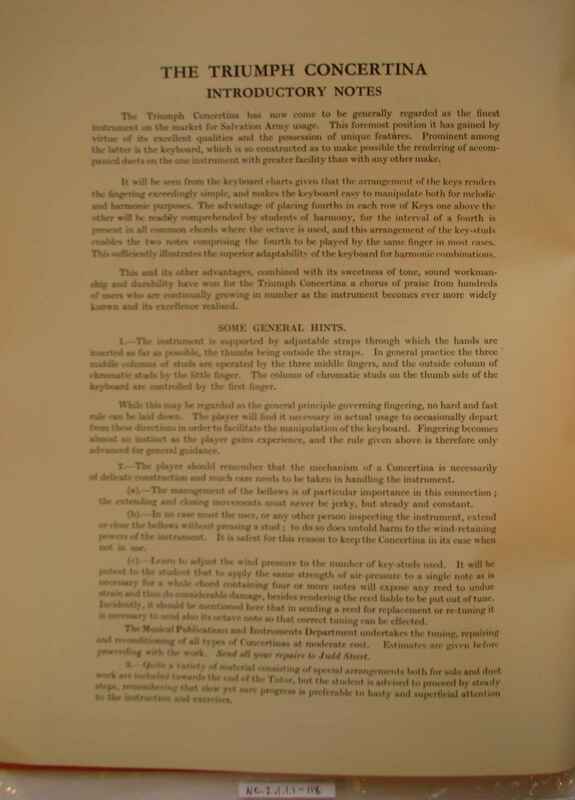 There are two copies of this tutor for theTriumph Concertina, (also called the Crane's Patent - see NC.2.2-003 for a Crane's Patent Duet catalogue, from the Crane & Co store in Liverpool). 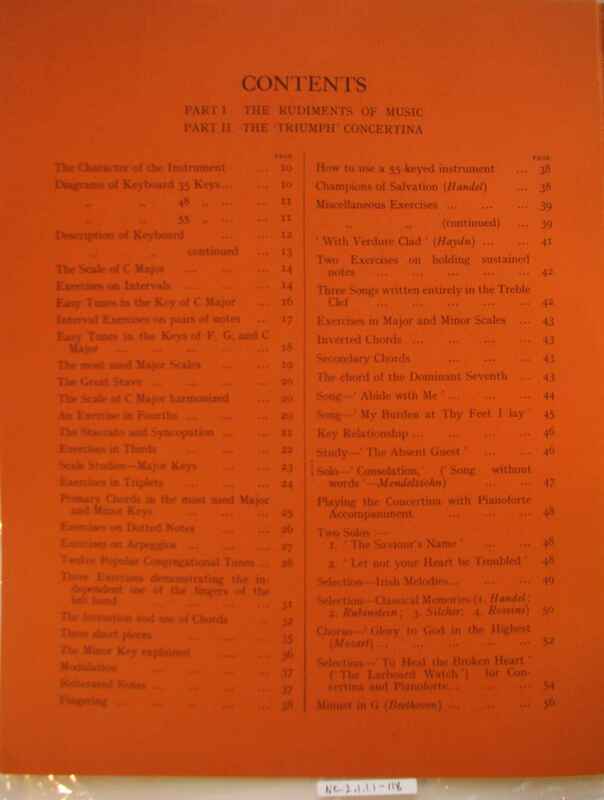 The tutors were probably part of Mr Minting's stocks at his West Wickham music shop. 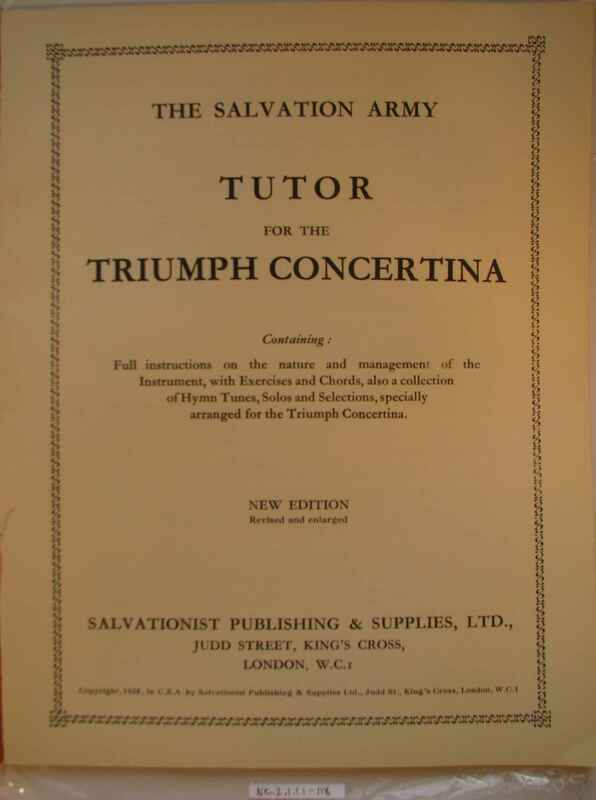 They are imprinted "Salvationist Publishing & Supplies Ltd, Judd Street, London WC1, New Edition, Copyright 1938", and published from the Judd Street address.